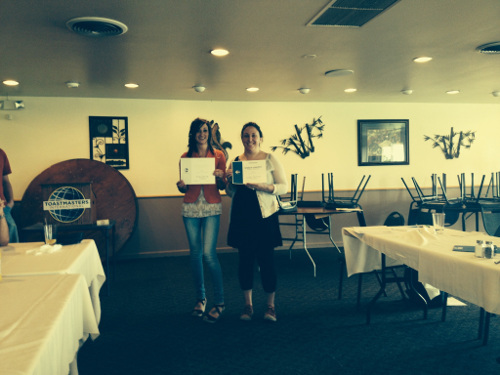 Congratulations to Heather Brown (1st place) and Tonya Sunderland (2nd place) for their award-winning evaluations in the 2014 evaluation contest at the George Sutton Toastmasters club. Heather will be representing our club at the Area contest in late September (date and location to be announced). Special thanks to Gretchen Vaughn of the Toast of Inverness club for serving as our test speaker. Heather will also be our appointed representative at the humorous speech contest. I’d tell you what her topic is but that would be sharing insider information…look out competition!